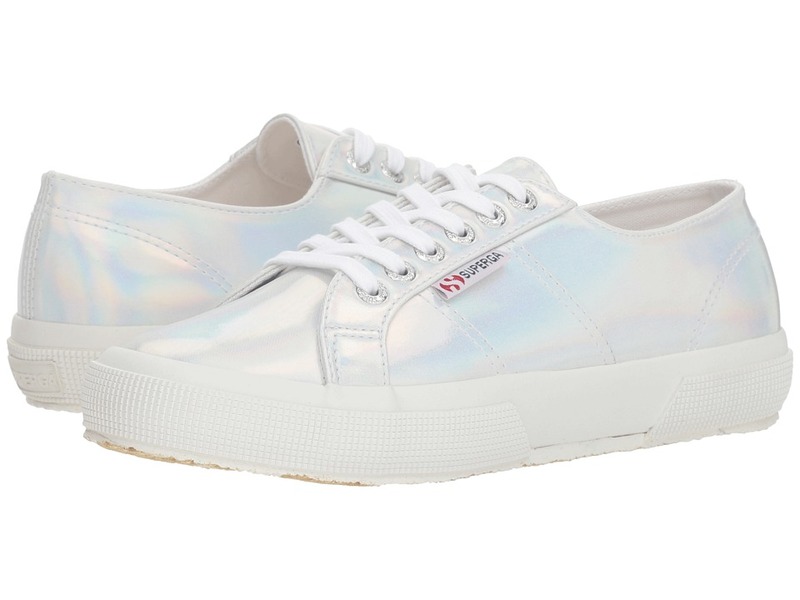 Give your sporty-chic ensemble a glam update with the Superga 2750 Hologram Sneaker. Man-made upper features a holographic design. Lace-up design. Round toe. Signature logo accents. Textile lining. Cushioned footbed. Vulcanized rubber sole. Imported. Measurements: Weight: 15 oz Product measurements were taken using size 40 (US Women~s 9), width Medium. Please note that measurements may vary by size. Weight of footwear is based on a single item, not a pair. Elevate every day, make it sleek and chic with the Superga 2284 VCOTW Platform Sneaker Mule! Sturdy cotton unlined canvas upper. Slip-on construction with adjustable lace-up closure. Signature round-toe Superga silhouette. Iconic side branding tag. Soft textile lining ensures an abrasion-free environment for all-day wear. Cushioned footbed provides sustained comfort for all-day wear. Patterned rubber outsole offers traction and durability. Machine wash, air dry. Imported. Measurements: Weight: 1 lb Product measurements were taken using size 38 (US Women~s 7.5), width Medium. Please note that measurements may vary by size. Weight of footwear is based on a single item, not a pair. From Italy, with love. Your favorite signature style goes limited edition with the Superga 2750 COTU Sant Ambroeus Sneaker. Always a contemporary classic! Sturdy cotton unlined canvas upper. Lace-up closure with metal eyelets for an adjustable fit. Rolled laces add retro charm. Signature round-toe Superga silhouette. Iconic side branding tag. Soft textile lining ensures an abrasion-free environment for all-day wear. Cushioned, non-removable footbed provides sustained comfort. Sant Ambroeus heel bumper branding. Natural rubber, crepe-textured outsole offers traction and durability. Imported. Measurements: Weight: 12 oz Product measurements were taken using size 36 (US Women~s 6), width Medium. Please note that measurements may vary by size. Weight of footwear is based on a single item, not a pair. 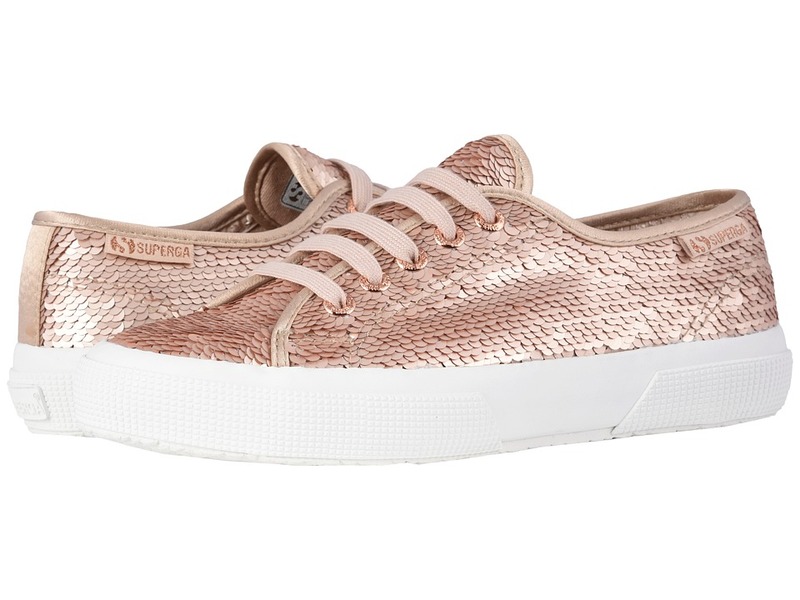 Dazzle your style admirers with the Superga 2750 Pairidesce Sneaker! Sequin-embellished cotton canvas upper. Lace-up closure with metal eyelets for an adjustable fit. Signature round-toe Superga silhouette. Iconic side branding tag. Soft textile lining ensures an abrasion-free environment for all-day wear. Cushioned, stationary footbed provides sustained comfort for all-day wear. Natural rubber outsole offers traction and durability. Imported. Measurements: Weight: 15 oz Product measurements were taken using size 40 (US Women~s 9), width Medium. Please note that measurements may vary by size. Weight of footwear is based on a single item, not a pair. Give your sporty-chic ensemble a glam update with the Superga 2750 Suecotlinc Sneaker. Suede upper. Lace-up design. Round toe. Signature logo accents. Textile lining. Cushioned footbed. Vulcanized rubber sole. Imported. Measurements: Weight: 1 lb Product measurements were taken using size 40 (US Women~s 9), width Medium. Please note that measurements may vary by size. Weight of footwear is based on a single item, not a pair. Update their everyday style with the must-have Superga 2750 JVEL Classic sneaker. Canvas upper material. Dual hook-and-loop closures for secure fit. Classic round toe. Signature logo detailing at side and heel counter. Breathable textile lining. Cushioned insole offers lightweight comfort. Durable rubber, crepe-textured outsole. Machine washable. Imported. Measurements: Weight: 4 oz Product measurements were taken using size 18 (US 3 Infant), width M. Please note that measurements may vary by size. Weight of footwear is based on a single item, not a pair. Update their everyday style with the must-have Superga 2750 JVEL Classic sneaker. Canvas upper material. Hook-and-loop closure over instep for secure fit. Classic round toe. Signature logo detailing at side and heel counter. Breathable textile lining. Cushioned insole offers lightweight comfort. Durable rubber, crepe-textured outsole. Machine washable. Imported. Measurements: Weight: 4 oz Product measurements were taken using size 18 (US 3 Infant), width M. Please note that measurements may vary by size. Weight of footwear is based on a single item, not a pair.